Robert Socia: New GM purchasing chief. DETROIT -- General Motors Tuesday named former Europe purchasing head Robert Socia, 55, to replace Bo Andersson as group vice president for purchasing and supply chain. Socia currently serves as executive vice president of Shanghai General Motors. When his new job takes affect July 1, he will inherit an $86-billion annual purchasing budget that buys 190,000 parts. His primary job will be to meet CEO Fritz Hendersons goals for wringing cost savings from the automakers supply base as it shrinks through bankruptcy. Socia joined GM in 1975 at the Cadillac Division in Detroit. He has been a senior purchasing manager in Brazil, vice president of purchasing for GM Europe and chairman of GM-Fiat worldwide purchasing during the automakers' alliance at the beginning of this decade. Andersson, 53, resigned from GM earlier this month and departed Friday. Russian carmaker GAZ said today that Andersson has agreed to become its chairman. 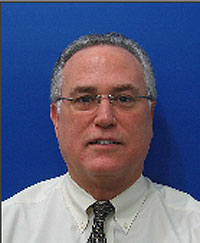 Robert (Bob) E. Socia was appointed executive vice president of Shanghai General Motors, effective July 1, 2007. He serves as GM's senior representative at its flagship joint venture in China. Socia came to China from General Motors South Africa (GMSA), where he had held the posts of president and managing director since January 2004. He also served as a member of the GMSA Board of Directors. He began his professional career at GM's Cadillac Division in Detroit in 1975 and worked in GM's finance and materials management areas. In 1991, he was appointed director of supply management at the Buick-Oldsmobile-Cadillac Group and the Cadillac Luxury Car Division. Between 1994 and 1997, Socia gained international experience in various senior purchasing positions at GM do Brasil. In April 1997, he served as executive director, chemicals, for GM's worldwide purchasing. Two years later, he was appointed vice president of GM Europe, worldwide purchasing, and in this position served as a member of the management board of Adam Opel AG and the Europe Strategy Board. He was also chairman of GM-Fiat worldwide purchasing from the establishment of the joint venture in 2000. He served in this position until his appointment as the head of GMSA. Socia earned a bachelor's degree in business from Oakland University and a master's degree in business administration from the University of Detroit Mercy.